WordPress WooCommerce Marketplace Seller Price Comparison Plugin gives allow customers to compare price among different sellers for a single product. Now different sellers, selling the same product will be displayed on the product page. Buyer can choose from them as per the product reviews or on the basis of price. A seller can add the product which is available in the global catalog with different price, stock units, and conditions. This plugin allows the sellers to update their assigned products and also delete them. WordPress WooCommerce Marketplace Seller Price Comparison Plugin is an add-on of WordPress WooCommerce Multi-Vendor Marketplace Plugin. To use this plugin you must have installed first WordPress WooCommerce Multi-Vendor Marketplace Plugin. Dear Customers, if you have a question/query, please raise a ticket at webkul.uvdesk.com. We will do our best to answer as quickly as possible. Multiple sellers can assign the same product with different price, stock units. Multiple sellers can assign a product which is available globally in the marketplace. For example, there is a product Apple iPhone which is available in the marketplace and a seller wants to sell the same product only with different price and quantity. So it can be done with the help of this plugin, now seller A, B, C, … can add the same product with different price and stock units. Admin can make a simple product or a variable product as a global product. The admin can make a simple product or a variable product as a global product to make the product available to the sellers so that different sellers can sell the same product at different prices. 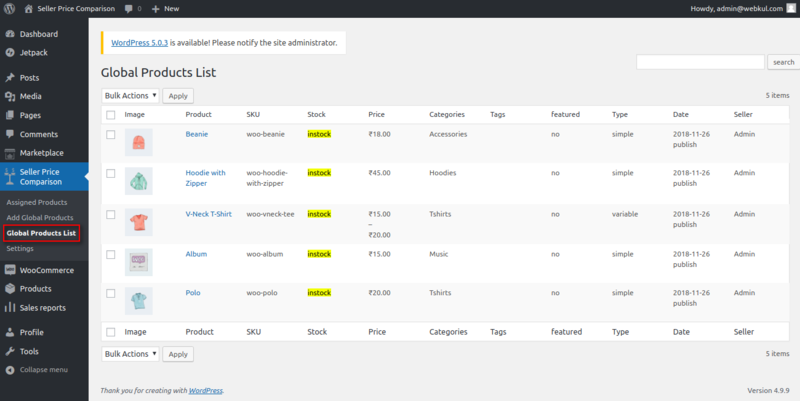 Sellers can update their assigned products and also able to delete them. Once a seller assigns a product then, it will work as a normal product. A seller will be able to update or delete the assigned product. Admin can configure whether approval required to publish assign products or not. Admin can configure whether approval required to publish an assigned product or not. If admin disallows then, to publish a product admin approval is required. Seller first searches and assign a product then, send it to the approval of admin. Once admin approves the product, the product will be visible on shop products. And if admin allows then, the product will be auto-approved. Display different sellers on the product page with their price. On the product page, a buyer can see all the available sellers who are selling the product. Now a buyer can compare sellers and add to cart the product from a seller having good review and low prices like Amazon, Flipkart or any genuine marketplace. Product stock management for sellers. A seller can manage the stock of assigned products. He can update the quantity of product as per his requirements. 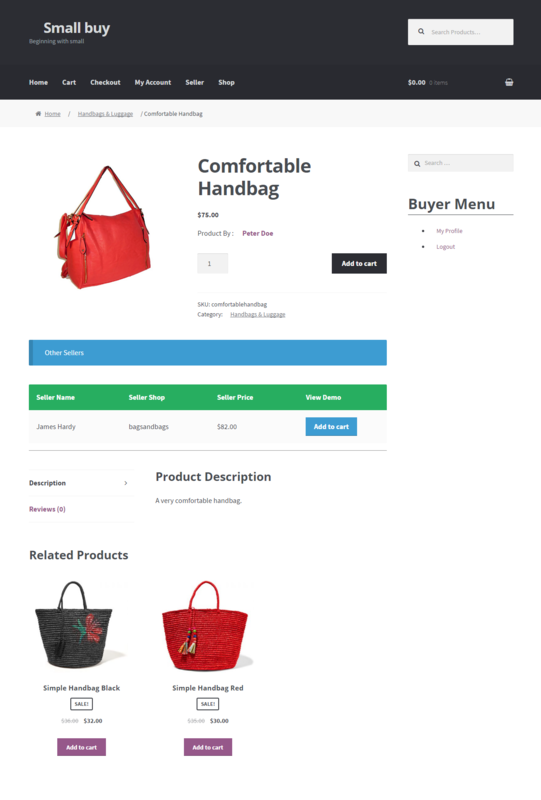 Admin can allow Base Product or Cheapest Product to be displayed on the marketplace. Admin can decide that which kind of products he wants to show on the shop page. Admin can allow to display Base Product or Cheapest Product. Once you are over with installation of the WordPress WooCommerce Marketplace Seller Price Comparison Plugin, Admin can configure this plugin under “Seller Price Comparison > Settings”. Here admin can set which kind of products will be shown on the Shop Products. 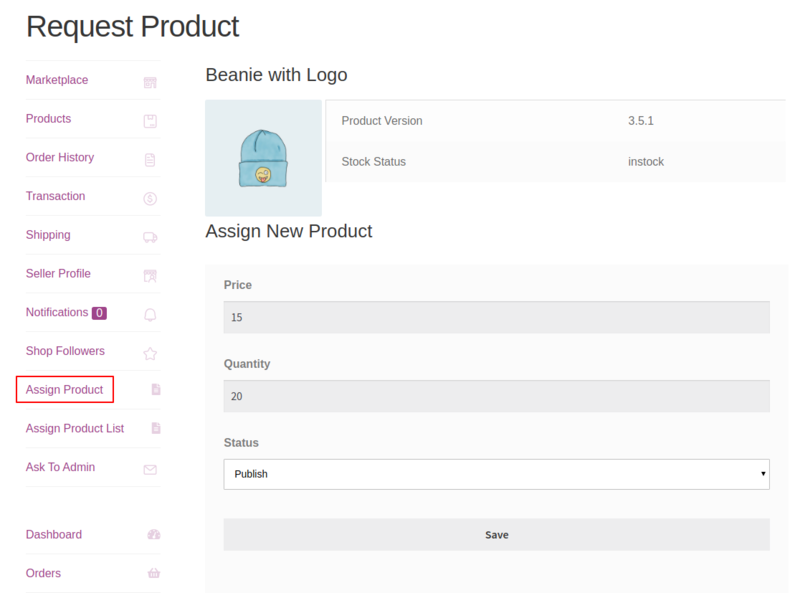 If admin selects “Base Product” to be shown on the shop products then only base products will be shown on the shop products. Now the product which has the lowest price will be shown in the shop products. and rest of the products are not shown on the shop products. After shop products configuration admin needs to make products global so that the seller can choose from them to assign products. It can be done under “Seller Price Comparison > Add Global Products”. Admin can view the list of Global Products under “Seller Price Comparison > Global Products”. Now a seller can assign these global products. A seller can assign a product under “Assign Product”. The seller needs to search for a product and click on “Sell” to assign a product. Now seller can fill details of a product like product price and quantity and status click on “Save” to save the product. Admin can configure whether approval required to publish a product or not. If admin disallows then, to assign a product admin approval is required. And if admin allows then, the product will be auto-published on shop products. The admin can view the Assigned Product List under Assign Products option in the Seller Price Comparison tab in the admin panel. To view the Unassigned Product List, the admin will have to select “UnAssigned” in the ‘Filter by Product’ tab and click on ‘Change’ button under “Seller Price Comparison > Assign Products”. Here admin provides approval for a product by clicking on the product and then click on “Publish”. Here seller can review a product also before approving. After admin approval, the Product Status becomes “publish”. 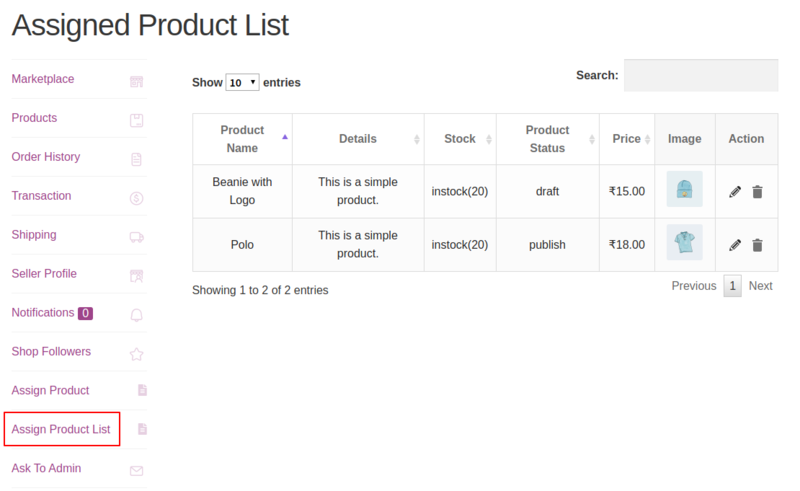 A seller can view the status of his assign products under ‘Product Status tab’ in the “Assign Product List” as shown in the image. 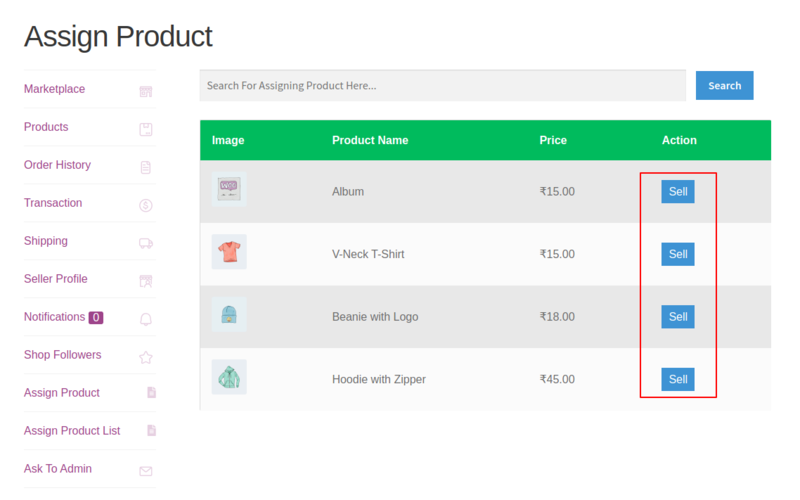 Now a buyer can see products as per the “Assign Product Configuration Settings” of admin. Here setting is to show “Cheapest Product” so the product has a minimum price will be shown on shop products. On product the page a buyer can see all the available sellers of that product with the price. Here he can choose as per his suitability.